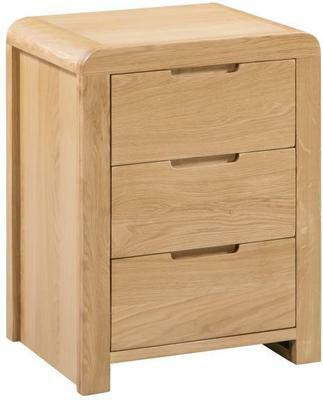 The stunning Lisboa 3 drawer bedside chest features a fresh modern design that combines clean lines with gentle curves. 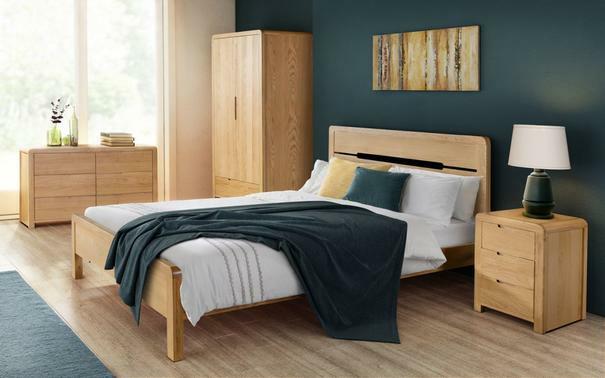 Crafted from solid Oak and Oak veneers this is a superbly crafted storage option that includes solid wooden drawers, dovetail joints and an alluring natural wax finish. 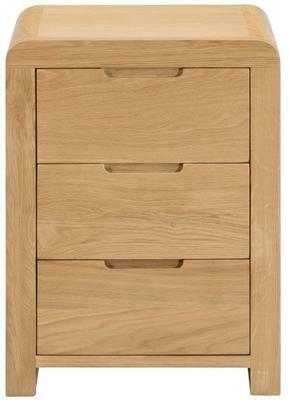 Cut out handles also feature and add to the contemporary feel the Lisboa 3 drawer bedside exudes. 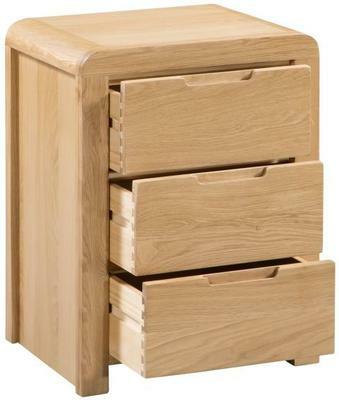 This stylish bedside chest is part of the Lisboa range which includes a number of complementary pieces for the bedroom including two sizes of bed, a wardrobe, dressing table and a range of storage options.